Professionally Manufacture Wholesale Semi Automatic Flat Round Oval Cylindrical Screen Printer,Pneumatic Multi Purpose Screen Printing Machine,Multi Function Screen Printing Equipment. 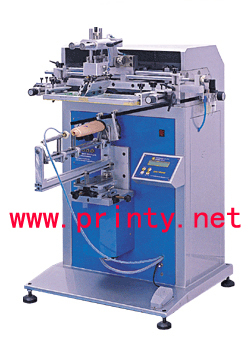 The Semi Automatic Flat Round Oval Cylindrical Screen Printer,Pneumatic Multi Purpose Screen Printing Machine,Multi Function Screen Printing Equipment is suitable for printing on any flat round oval cylindrical conical items surfaces with various materials such as paper, wood, plastic, metal, glass, or ceramic etc. Squeegee/flood bar depth, pressure, speed, leveling, and stroke etc. are all adjustable to fit your various printing needs.